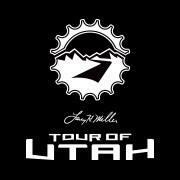 The Tour of Utah starts in St. George, and features stages in Cedar City, Payson, Antelope Island and downtown Salt Lake City. The final two stages take place in Summit County. Tour of Utah managing director John Kimball describes the final two stages. 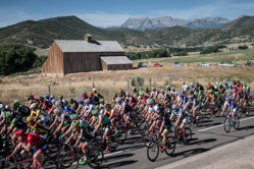 The Larry H. Miller Tour of Utah Press Release on Thursday outlines the start and finish locations of each stage in the professional men's cycling challenge. Course details and descriptions are included. Carolyn Murray has more on the event. 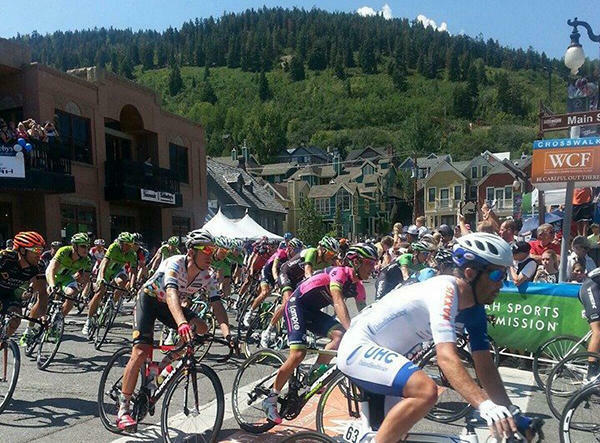 Park City leaders say the Tour of Utah is a valued event, and even though they didn't get it this year, they hope it will return. Meanwhile, the head of Heber Valley Chamber of Commerce says the area is looking forward to being in the cycling spotlight. KPCW's Renai Bodley has reaction to the Tour's announcement of its 2017 host cities. 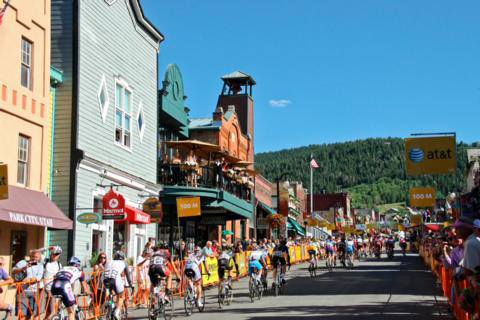 The Tour of Utah just announced the route for this year's race and Park City isn't on the list. However, Heber City is. The Tour dates this year are July 31 - August 6. The race will start in Logan, then head to Brigham City and Snowbasin for Stage 2. Stage 3 will feature individual time trials in Big Cottonwood Canyon. South Jordan will host Stage 4. Stage 5 will be in Davis County, starting in Layton City and ending in Bountiful. 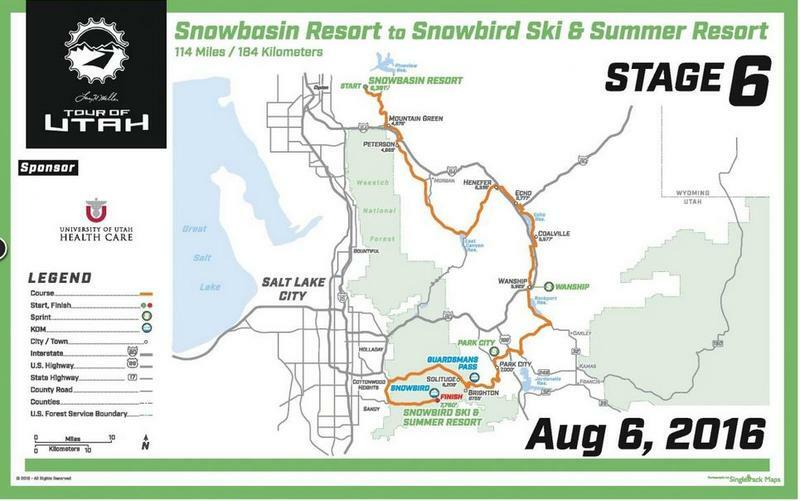 Stage 6 will be in Heber Valley at Soldier Hollow and end at Snowbird. The final stage will be in Salt Lake City. 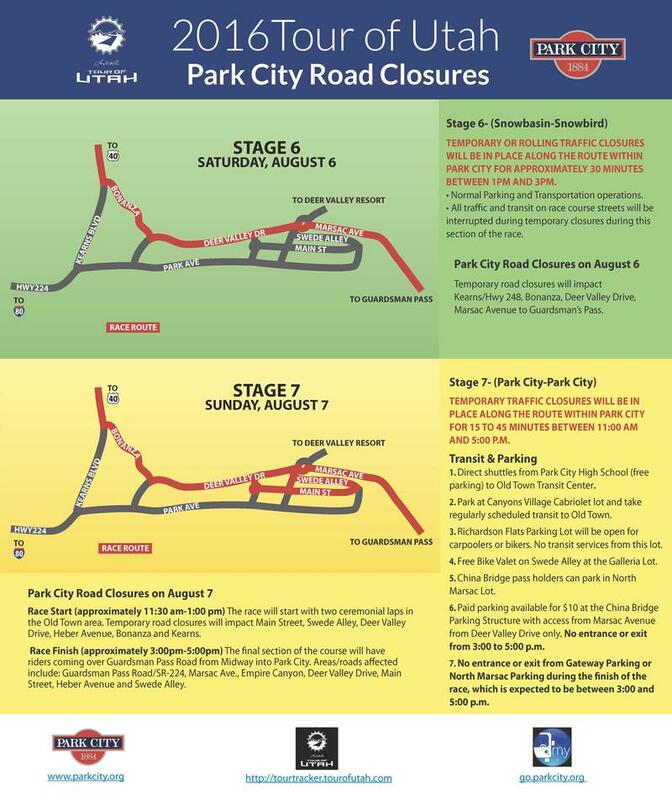 Be prepared for rolling road closures Saturday and Sunday as the Tour of Utah makes its way through Park City. On today's program, Host Leslie Thatcher speaks to Robert Grow - the CEO of Envision Utah with the first of the results from this spring's survey of nearly 53,000 Utahns. Sandy Cho from the Utah Olympic Park and two local climbers talk about this week's Psicobloc Competition with a cash purse of $20k. Summit County Sheriff Justin Martinez has the latest about Hilary Clinton's visit to Park City. Superintendent Ember Conley has released her recommendation about how the school board should move forward with master planning.